PC browser demo hits NOW! With the current generation systems taken care of, Ubisoft has finally announced the release dates for Rayman Legends in North America on Xbox One and PlayStation 4: February 25th, 2014. 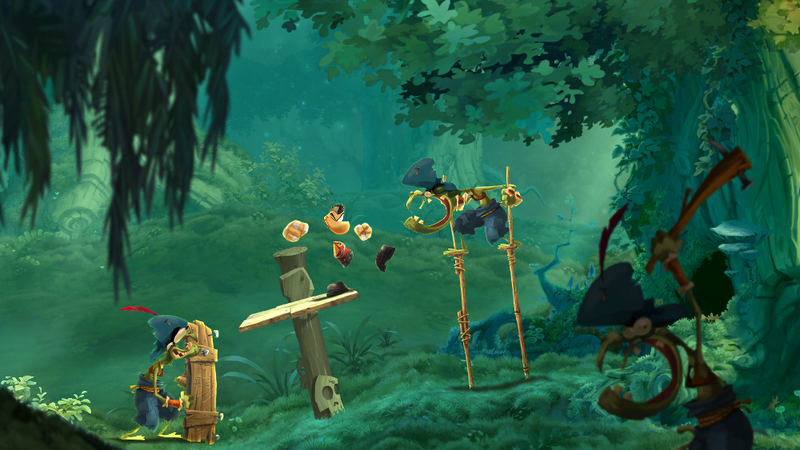 For your patience, Rayman will reward you with enhanced graphics, shorter loading times, exclusive costumes, and extra challenge levels designed to take advantage of all that fancy next-gen hardware. 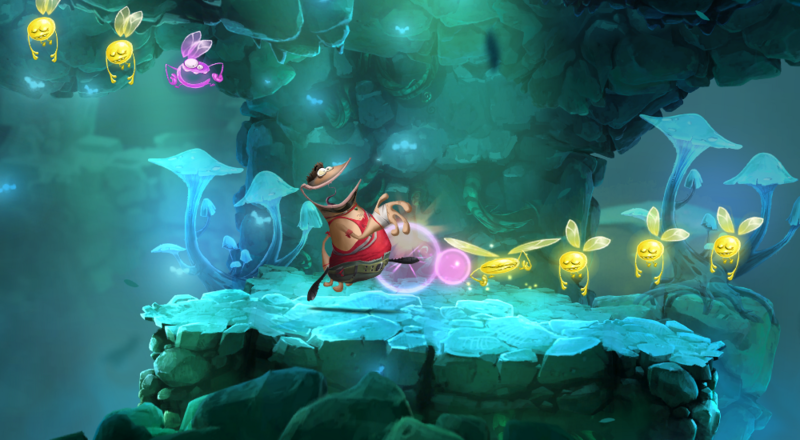 Although we wouldn't think it possible, Ubisoft swears the visuals in the upcoming versions of Rayman Legends have been improved. Because apparently they weren't gorgeous enough already? The screenshots certainly look good, we have to admit. The Xbox One version will include ten exclusive challenges to unlock time-limited achievements. PS4 owners get to use that fancy controller's touchpad to scratch Lucky Tickets as well as share screenshots and videos with the community. Remote play is even enabled with a PlayStation Vita in hand. No more pausing the game to go to the bathroom. Just take it with you. New costumes are appearing along with the next-gen launch. Xbox One gets Splinter Ray, Ray Vaas and Globox Vaas, and PlayStation 4 gets Assassin Ray. Doesn't take too much detective work to figure out which franchises are being referenced there. It's some game about John Wilkes Booth, right? Oh, and Funky Ray can also be purchased on both systems using Uplay points. To celebrate the announcement, a playable browser demo has been released. Hop on your PC and check out three levels from the Rayman universe, including Teensies in Trouble, Toad Story, and the musical map Castle Rock. Page created in 0.3766 seconds.